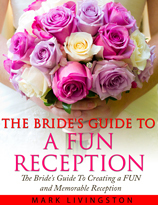 The Maid of Honor Sister Speech is one of the most important wedding speeches at the reception. The purpose of the opening of your tribute to your sister and her new husband is to grab the guests’ attention quickly. Starting with a funny story or a touching and sentimental story are effective ways to get attention and create immediate interest. Humor is a time-tested icebreaker and it’s entertaining. 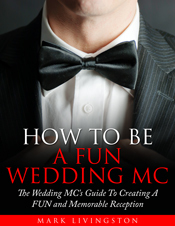 Using appropriate jokes and anecdotes that are funny and don’t humiliate the wedding couple is a quick way to win over the guests and adds to their enjoyment at the reception. You are paying tribute to your sister on one of the most important days of her life. Because your tribute will be directed primarily to your sister, it will almost certainly be sentimental. Sentiment usually revolves around favorite memories or experiences you’ve shared with your sister. Quotations, including those about love, life, happiness, husbands, wives, and marriage, can strengthen the theme of your presentation. They can also be humorous. If it fits in with your theme, be sure to add an appropriate quotation. Because you’re the bride’s sister, your tribute will be primarily about the bride. But it’s important to include the groom as well. You might, for instance, talk about how lucky your sister is to have found such a wonderful husband and describe the qualities that make him such a good catch. You’ve shown how much you love and admire the bride with heartfelt sentiments. You’ve had some fun and gotten laughs with your humorous stories. But remember, this is a very special day for the bride and groom. It’s a joyful occasion for them and they’ve gone to a lot of trouble to prepare for their wedding day. Be sure to compliment them both on how they look and why you think they’re an ideal match. Mention how happy, radiant, and beautiful the bride looks. Mention how handsome the groom looks. 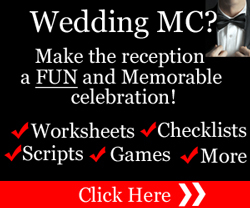 Your tribute will end with a toast to the bride and groom. It can be a simple toast with just a few words or it could even be a short verse. The Maid of Honor Speech by a sister is one the bride will cherish for years to come. So take time to create a memorable tribute to both the bride and groom on their special day. Click on graphic below to go to Maid of Honor Sister Speech samples and speech templates.